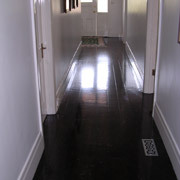 Showing a selection of residential and commercial floorsanding projects that display a wide range of style and finishes. 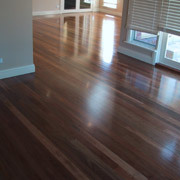 Our floor sanding and polishing portfolio features a wide variety of custom finishes for different settings whether high traffic commercial or creating drama in a residential setting. 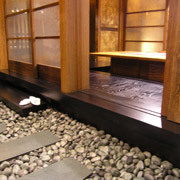 Teppanyaki rooms at KOKO Japanese restaurant at Crown, Melbourne. 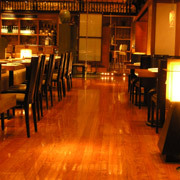 Dining rooms at KOKO Japanese restaurant at Crown, Melbourne. 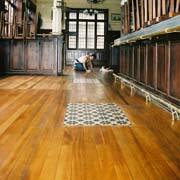 Restoration of the floors in the ‘Belgian Beer Bluestone Cafe’ in Melbourne. Hand finishing the floors in the ‘Belgian Beer Bluestone Cafe’. 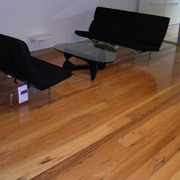 Recycled messmate in architects office, William Street, Melbourne. Finished in lo-sheen tung oil. 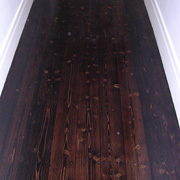 Tallowood wide boards in Victorian terrace restoration in Cecil Street, South Melbourne. 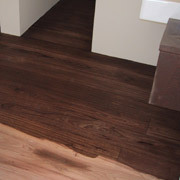 Direct stained walnut/black japan and finished in semi-gloss polyurethane. 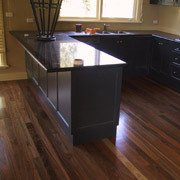 Spotted gum strip flooring in Ivanhoe. Finished in semi-gloss polyurethane. Recycled messmate. 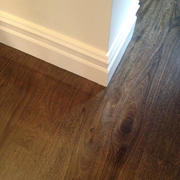 Direct staining in progress in Hawthorn. Recycled messmate. 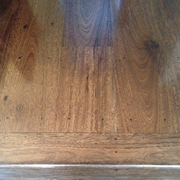 Direct stained in Hawthorn. Baltic pine in Elwood. 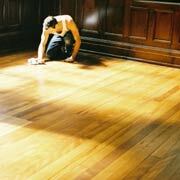 Direct stained walnut/black, finished in semi-gloss polyurethane.